Raw Biology rebuilds your skin structure on a cellular level. Skin is made up of proteins: Collagen, elastin and keratin. 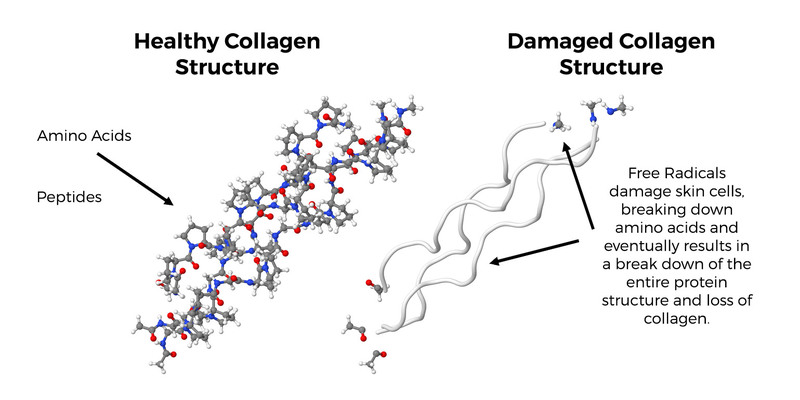 Collagen alone makes up 75-80% of your skin and is responsible for the plumpness of your skin. 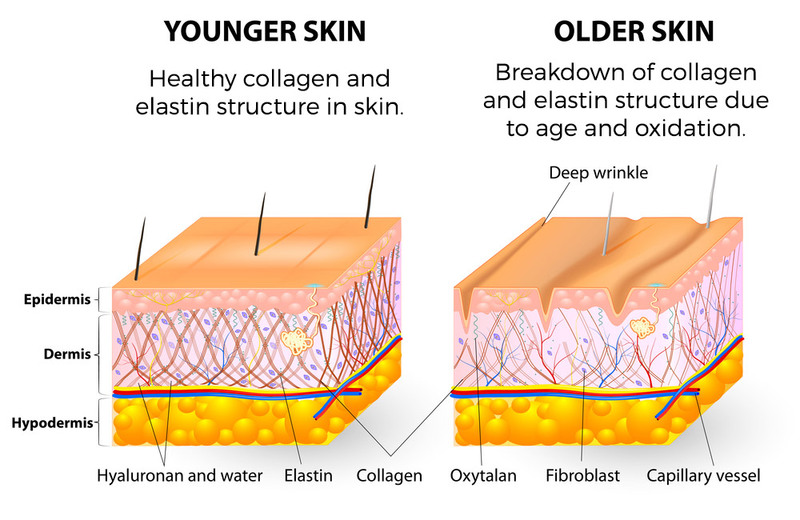 Elastin is responsible for giving the skin structure. Keratin is the barrier of protection on the surface area of your skin. Amino acids, called peptides, bond together to create the structure of collagen, elastin and keratin. 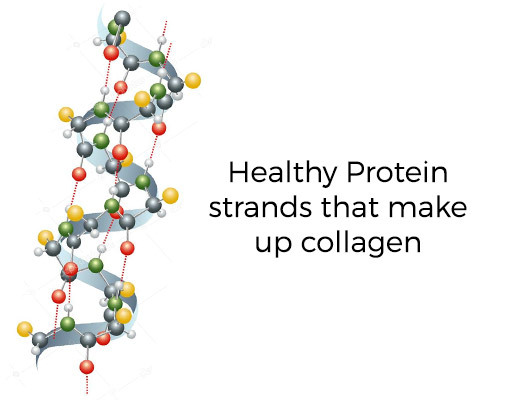 When the protein structure loses its integrity from free radical damage (caused by age and environment), it is essential that we continue to feed and replenish the damaged peptides in order to maintain a healthy skin structure. Defend your healthy cells from free radical damage in order to prevent break down of the protein structure. 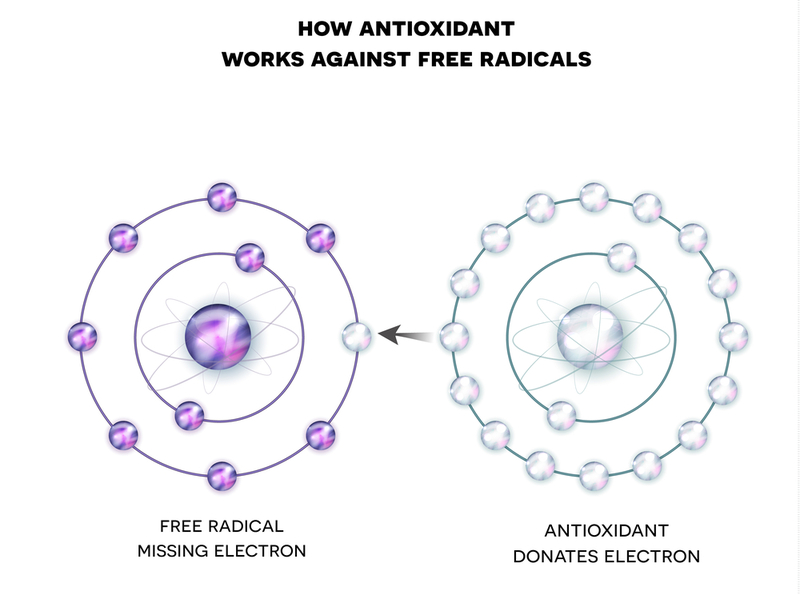 Free radicals are cells that lose an electron due to oxidation from sun exposure or environmental toxins. The free radicals then search for other healthy cells in the protein structure to steal an electron from to become whole again. This creates a new free radical and weakens the entire structure of the protein. It becomes a game of dominoes unless you feed your cells what they need to prevent cells from becoming free radicals. This is where a healthy skin diet comes in: Research has shown that healthy needs 5 essential nutrients to prevent it from breaking down and to maintain overall skin health.